Today at base camp preparing to start the climb tomorrow. It has been raining here which is unusual. 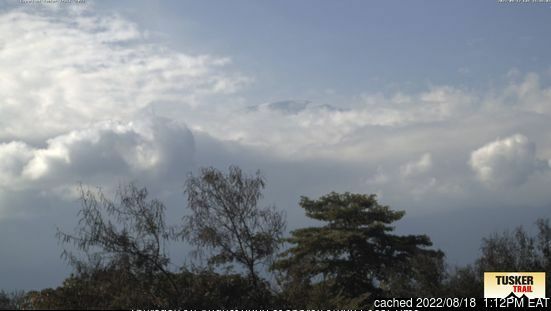 Here is a picture of the mountain today from a live webcam feed. Kilimanjaro is there just behind the trees but it is very hard to see.